When she was little, someone asked my sister if she was a princess. I will never forget the look in her eye when she replied, "No, I'm a PERSON!" In our society, we are fed the idea that princesses are helpless, singing damsels with pretty ballgowns. This book is perfect for women, who, like my sister, feel a disconnect between themselves and the stereotypical princess character. 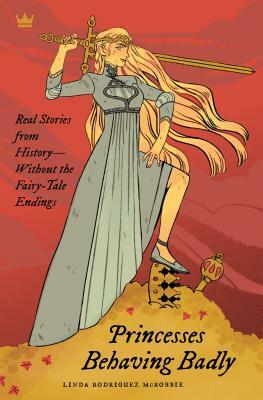 Linda Rodriguez McRobbie tells stories of real princesses from history who do strange, difficult and controversial things that shatter the stereotypical princess image. This book is a must-read for fans of history, powerful women and glass ceilings. Linda Rodriguez McRobbie has written for Smithsonian Magazine, The Guardian, Atlas Obscura, Christian Science Monitor, WallStreetJournal.com, and other national publications. Find her online at lindarodriguezmcrobbie.com.